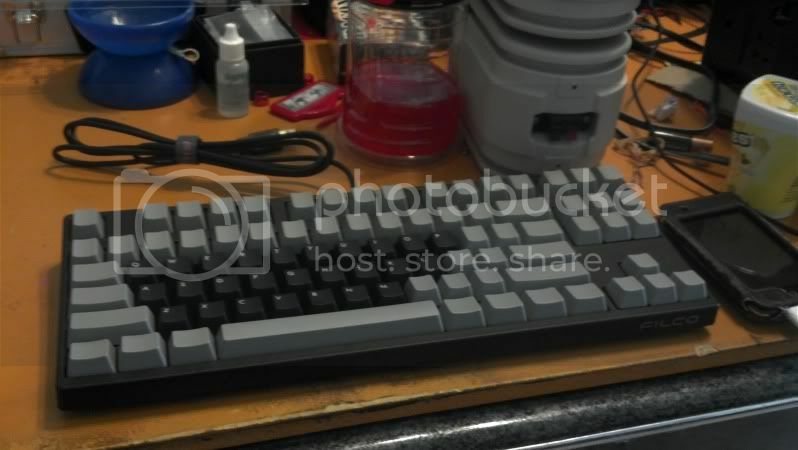 Is the blue stuff more of kawa's mystery AF keycaps to send out? 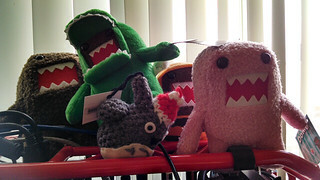 I still need one kawa! Very nice dude. Still wish there was a 45g 10AE. 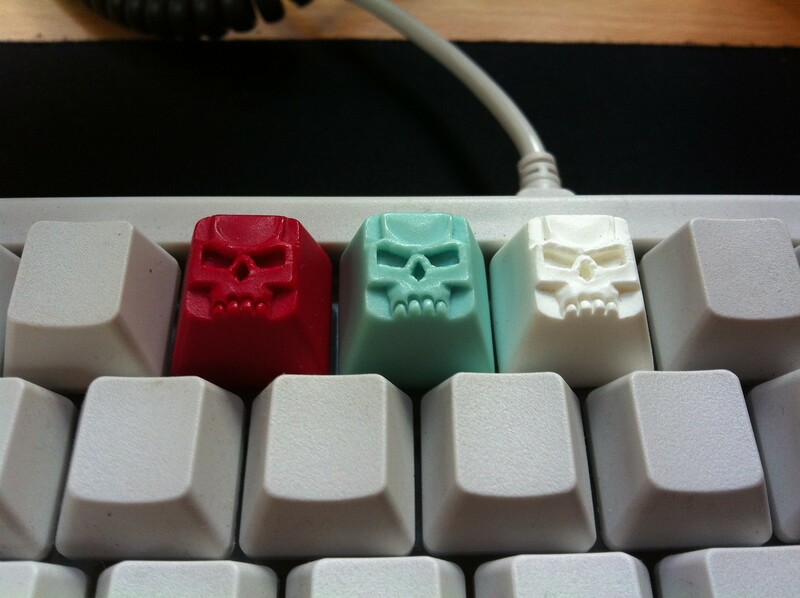 See, I'm not insinuating that you are the one sending the mystery keycaps ! 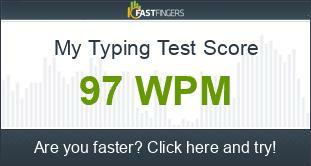 I got a damn near flawless F AT in mail along with some SP clear keycaps and Filco tenkey with some cherry keycaps. I'm digging the colors! Cool stuff. I got 2 clg Keycaps ! Wow - great design, love the legends and the colors! Is that the new white-on-black printing on the space bar? Got any closeups of that? Haven't really got any closeups im afraid and dont have a camera! Got HTC EVO 4g LTE today. 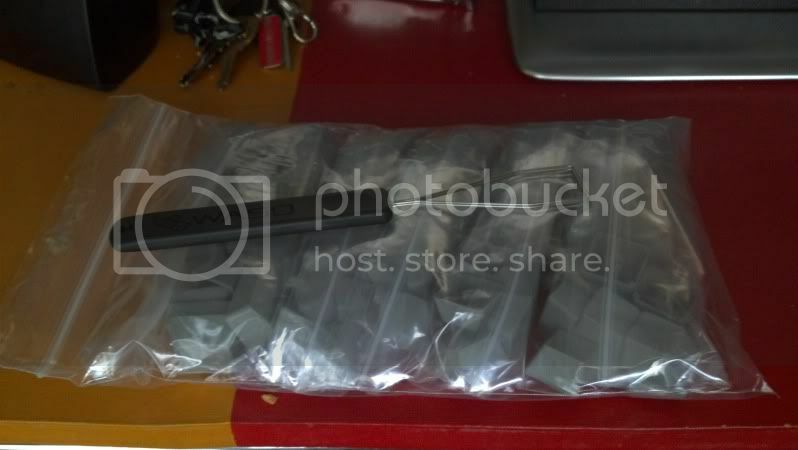 Blank grey caps for the Filco that should get here tomorrow. 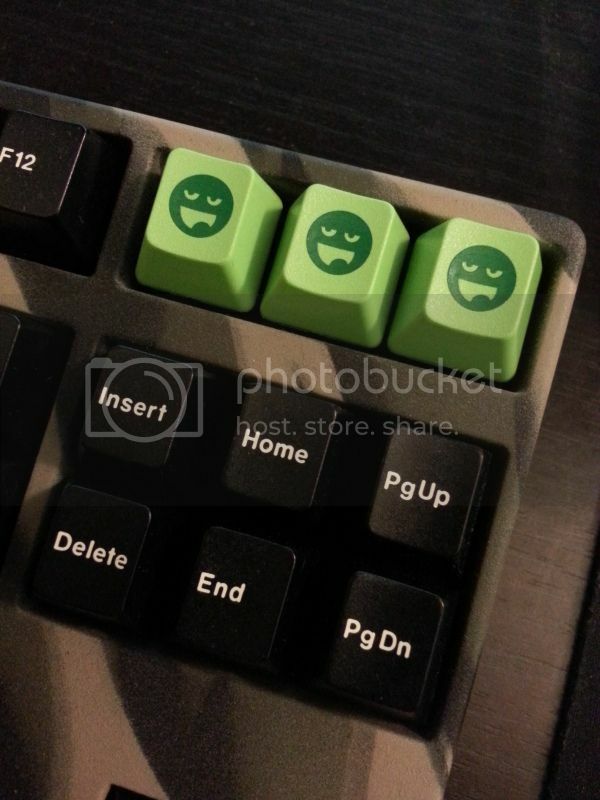 Some green caps from Dan. Thanks! I hope more of those caps get made sometime in the future. I wanted to use one in place of the esc. 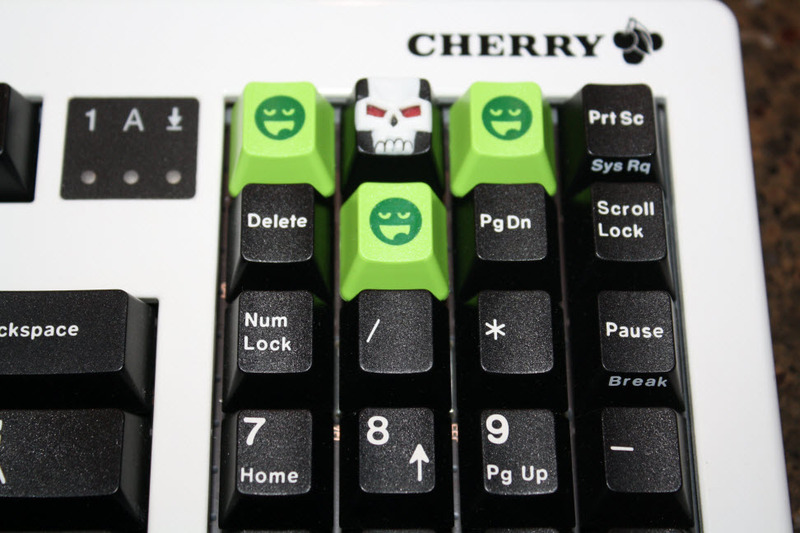 key on my new Filco >_<. Not keyboard related but I got a settlement check from a lawsuit against walmart I didn't know I was in. Apparently I was underpaid overtime for the year I worked there. Mine are suppose to be coming in the mail today... can't wait to go home and get them! 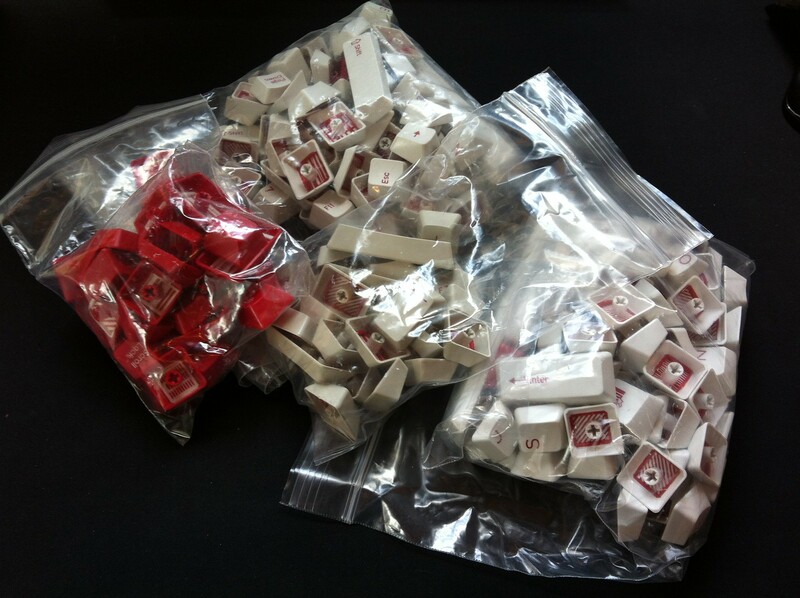 Lots of tasty new keycaps, nom. Today's just my day, thanks DanGWanG! Ordered this yesterday off of Newegg. It came in today, less than 24 hours later. Got my $10 Data911 TG3 BL82's in the mail today. 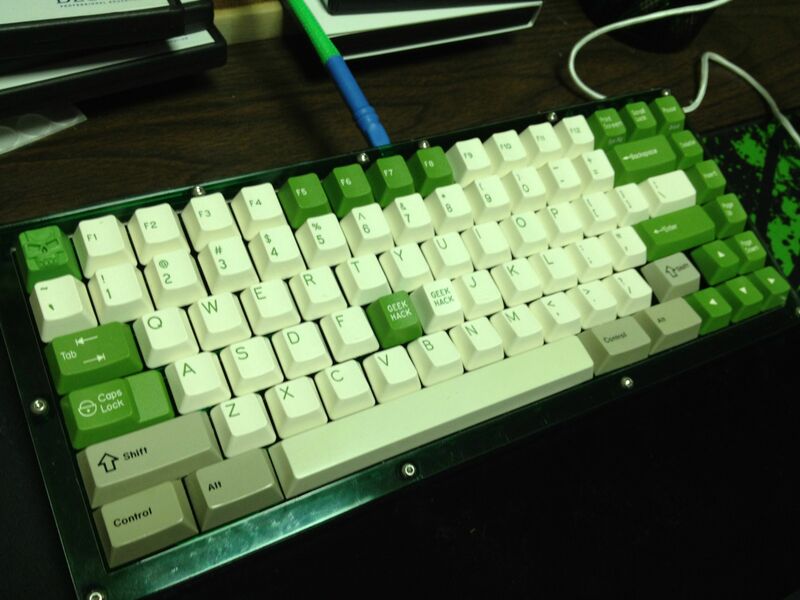 After converting it to Dvorak, I don't think I put all the keycaps on right, because it's super hard to type on. One has the thin plastic sheet (and is older, according to the PCB). 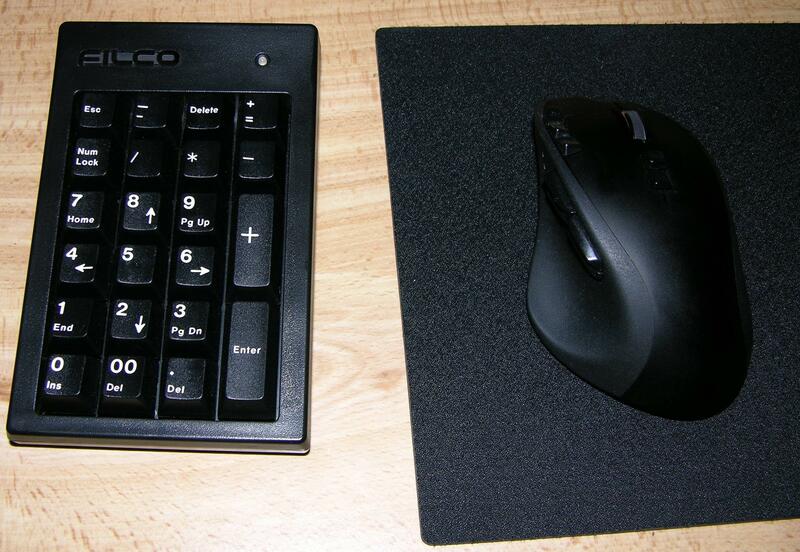 The other is newer, has actual rubber domes aver the cherry blacks, and is newer. Both are in excellent shape. A complete bargain at $10 shipped from ebay. hanks to litster for the tip. 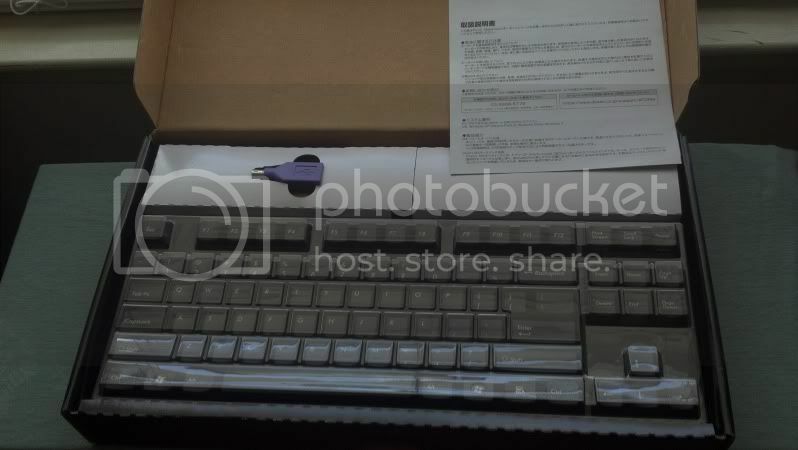 If you look at the pictures, the spacebars are different profile. 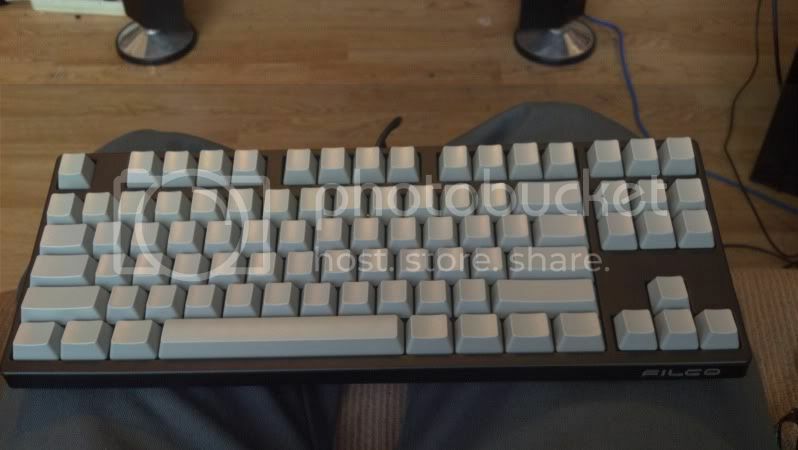 Also, the keycaps on the newer one have larger lettering, and is much more "white". The older one has a sort of bluish cast to it. I'm going to take this rubber dome sheet completely off, it's super annoying. The red backlight is really pretty, though: Much better than I expected. Thanks Ragnorock, they look so beautiful! Thank you so much, tsangan! I can't express how happy I am! You are AWESOME! Mellow Yellow Cable, by Anynoupy. Thanks a lot to WhiskerBox for that beautiful cable ! Poker with NIQMODS and some other stuff ..., by Anynoupy. 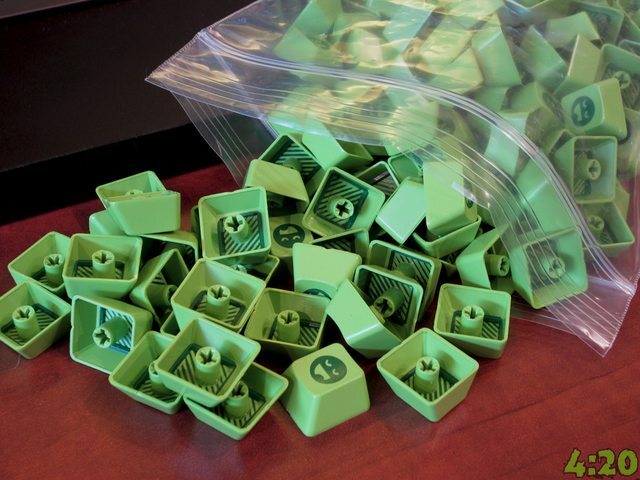 Yup, just got those Awesome Keycaps ! Alerted Leopold ..., by Anynoupy. Finally got my RA 2.0, and already loving it !